When Should We Try Again: Am I Ready? Have you thought about trying again in the New Year? There are many different schools of thought on how soon you should try again. It is important to consider your physical and emotional readiness. Most experts and doctors agree that a woman who has suffered a miscarriage should wait at least one normal menstrual cycle before attempting to become pregnant. There is some evidence to suggest that failing to wait for one normal cycle increases the risk of miscarriage in the next pregnancy. Some doctors will suggest waiting for two to three normal cycles to ensure that your body has fully recovered. It is important that you consult with your doctor to determine the proper wait time for you and your body. Together you can decide when you are healthy and ready to try again. If you will require any additional medical attention, such as genetic counseling, be sure to seek that out before trying again. Having all the information you need is vital in helping you to make the choices and decisions ahead. Emotional readiness is much more difficult to determine, and in many ways, even more critical than physical readiness. If you find yourself hurriedly trying to become pregnant again, you may not be taking the time to properly address your grief. During a time when emotions are running high, this can be dangerous. Many women find themselves grieving (over a pregnancy loss) long after the birth of their babies. If your focus becomes trying again, it could delay the grief and healing process and put that part of your life on hold. Also, if you fail to become pregnant right away, it can cause a feeling of failure and add to the emotions you are dealing with. Even if you believe that you ‘feel fine,’ and you do not feel overwhelming effects from your loss, there is still grief. Many parents find that their pain intensifies in the months that follow their miscarriage. Most doctors agree that dealing with grief is important before trying again. On the other hand, if you find the months stretching on and you are still afraid to try again, it may be time to face the music. You will not be able to move forward without feeling fear. Becoming pregnant again can help you to feel that you are ‘moving on’ and progressing toward your dream of starting or adding to your family. The important thing is that you take the time you need to become emotionally ready. That does not mean that you will awake one day without any fears or reservations. It simply means that you have allowed yourself to grieve and begin healing from the loss you suffered. This will open the way to try again when you are emotionally and physically ready. This information was adapted from the book Hope is Like the Sun. Researchers at the recent annual meeting of the Society for Maternal-Fetal Medicine reported that some women who have suffered a miscarriage may increase their odds of having a full-term baby during their next pregnancy by taking aspirin. The study included women who had suffered two previous miscarriages and had no infertility issues. 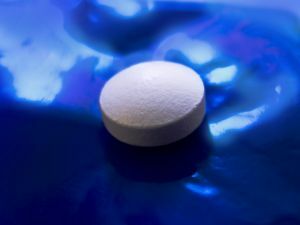 Results showed that women who had a miscarriage early in the pregnancy (less than 20 weeks) and were within one year of the loss benefited from taking a low dose aspirin each day. The women took the aspirin while they tried to conceive and throughout most of the pregnancy- through 36 weeks. Women are often nervous about the medicines they may have taken during early pregnancy- even simple pain relievers can leave you wondering. 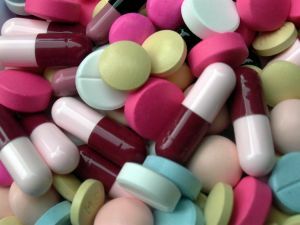 A study recently published by researchers writing in the journal Obstetrics & Gynecology looked at the possible connection between miscarriage and common painkillers like aspirin, ibuprofen and naproxen. Over 3,000 pregnant women were included in the study, which found no increased risk of miscarriage for women who had taken over-the-counter pain relievers at conception, or early in their pregnancies. 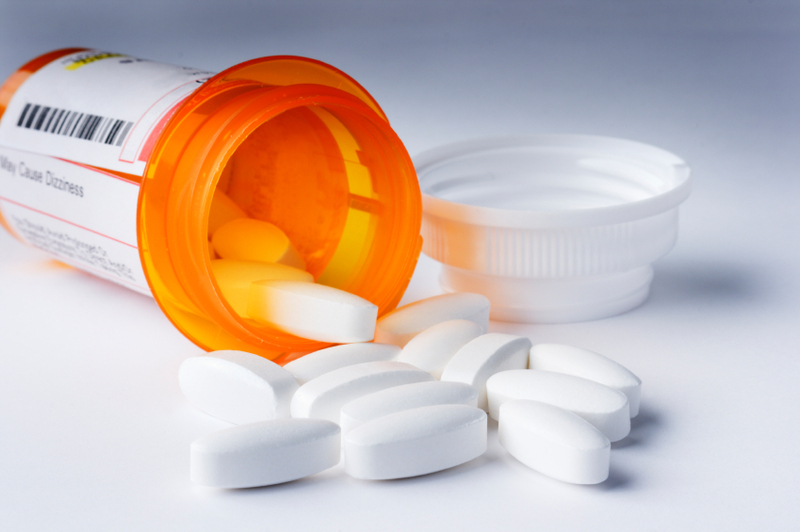 Prescription pain killers, such as NSAIDS, however, have shown evidence of an increased risk. Experts still agree that acetaminophen is the safest option for occasional pain relief during pregnancy. Can Antidepressants During 1st Trimester Cause Autism? A study published on Monday suggests that women who were prescribed common antidepressants in the year before they became pregnant had an increased risk of having a baby with autism. When the antidepressant was taken during the all-important first trimester, the risk tripled. Science has uncovered so many potential risk factors for women during the first three months of pregnancy and this study adds, yet one more. Be sure to discuss any risks that concern you with your doctor. Dealing with pregnancy loss is difficult for anyone. Understanding a man and giving him the space and support he needs will be cricital. New Genetic Test: Could Incredible Science Become Gateway to Science Fiction? No one can deny the incredible feat that has been completed by Johns Hopkins University School of Medicine this past December- it is the future application that may get you thinking. Scientists there have devised a testing procedure for couples who are carriers of genetic diseases who are undergoing in vitro fertilization. The groundbreaking test measures viable embryos for chromosomal abnormalities before they are implanted. In vitro embryos are so small and have so little DNA that only limited testing has been possible. This new technique creates a “carbon copy” of the DNA that can make multiple genetic tests possible. After testing, embryos that are free of genetic or chromosomal abnormalities can be implanted. For couples who are known carriers of a genetic disease, in vitro is becoming a more popular route because it does allow some genetic testing to be done. The benefits of this discovery for these parents is undeniable. With this new technique, one has to wonder if perfectly heathy couples could decide to have the testing. And who’s to say what could potentially result from the ability to see your child’s DNA before he/she is born? Could this type of testing open the door to a society we’ve only seen in Science Fiction movies? Read more on the testing for yourself at: http://www.newswise.com/articles/new-genetic-testing-technology-for-ivf-embryos.